A Pond Apart specializes in communication for the U.S. and German markets as well as in cross-cultural communication between the two. Whether you need a translation, localization, transcreation, or content writing services, you’ve come to the right place. 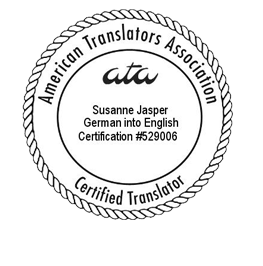 With a passion for language, firsthand knowledge of both the German and the U.S.-American culture, and experience with marketing and corporate communications, we create wording that is effective and authentic from both a linguistic and cultural standpoint. DO I REALLY NEED TO HIRE A TRANSLATOR? MY EMPLOYEE TOOK LANGUAGE CLASSES IN SCHOOL AND IS PROFICIENT. Language is much more than words. Language is an expression of culture. It comes not only with its unique words, sounds, grammar, and spelling. It also holds the typical beliefs, values, and experiences of a particular culture as they have developed from the culture’s unique circumstances—history, geography, climate, and people. Therefore, people from another culture will not only use a different word to describe an object or use a different syntax to arrange words in a sentence. They will also use a (sometimes vastly) different approach when recounting a story, describing a situation, giving instructions, or advertising a product. In addition, due to a culture’s unique circumstances, certain words or expressions may have a different connotation or be taboo. Consequently, even when the same language is spoken in different countries it will vary—such as English spoken in the UK, the U.S., Canada, Australia, or the Caribbean; Spanish spoken in Spain or in the different Latin American countries; or German spoken in Germany, Austria, or Switzerland. A text translated by someone who is not deeply familiar with both cultures—that of the source and the target language—will be correct and understandable at best. Generating a text that sounds authentic to a native speaker requires profound knowledge of the respective culture(s). A well-written text is one that reflects the culture behind the language it is written in. DO I REALLY NEED TO HIRE A TRANSLATOR? MY NATIVE-SPEAKING EMPLOYEE CAN TRANSLATE AND WRITE TEXTS. How often have you seen a text written by a fellow native speaker of your language in which you found spelling, grammatical, or punctuation errors or that could have been worded better? How many fellow students in your Language Arts classes in school did not get A’s on their compositions? Just because someone is a native speaker (or has native-speaker skills), doesn’t mean that (s)he automatically qualified to compose effective marketing texts, blog articles, letters to customers, press releases, product descriptions, or awards applications. In the same way, not every native speaker perfectly masters the intricate set of rules of comma placement, hyphenation, capitalization, or AP style. By the same token, when translating from one language into another, native-speaker mastery of the target language and at least proficiency in the source language are prerequisites but not enough. Because oftentimes expressions, idioms, sayings, or analogies can’t be translated literally from one language into another, the translator has to find wording in the target language that conveys the message and, at the same time, sounds authentic—a skill that takes practice. In addition, the translator has to master the spelling and punctuation rules of the target language. Unfortunately, it is evident that many of those responsible for approving texts for publication underestimate the complexity of those rules or their importance (or both). Text that isn’t written well is not as effective as it could be. Text that contains errors looks unprofessional. How do you want to be perceived by your target audience? What impression do flaws in your communication make in regard to the quality of what you have to offer—your product, service, competence, or work ethic? You can easily set yourself apart with an excellent, professional presentation, which includes effective and flawless texts. Being a native speaker of a language by itself isn’t enough to produce a stellar translation or create effective written content. A talent for and in-depth knowledge of language as well as practice and experience in translating, localizing, or writing are equally important. It is the combination of both that makes for a qualified translator or writer. None of your customers overseas took that survey that you sent out? Your audience overseas had little but blank stares to spare during your presentation although you regularly bedazzle your audiences at home? Sales haven’t been going so well overseas although sales numbers for your top-of-the line-product skyrocketed at home after your original marketing campaign? Your prospective investors weren’t impressed with your ideas? People overseas found your hilarious ad wildly inappropriate? Just translating content is oftentimes not the best solution. You may need to localize or go even a step further and transcreate. That’s why you’ll find the wording in the German and English version of our website isn’t identical. We’ve purposely localized our content for our German and for our American audience to offer the type of information each audience needs in the form that best conveys the message. We’ll be happy to consult with you about the best solution for your needs. At home in both cultures, we know when and how to translate, localize, or transcreate so that your content speaks to both German and American audiences.